Being married to military personnel means that your life is quite different. This is the same when divorcing your military spouse. Here are some points to consider when divorcing someone in the military. Where to file your case – Most military families often move all over the world. Although you may live in many countries, you will have a country or state that you call home. This is called your domicile state. Therefore, it is best that these countries/ states laws are considered before filing. Healthcare – Once you are divorced from your spouse, you will not be entitled to any health care from the military. This is also the case with any other military benefits you have received. Retirement benefits – You may have planned to share your spouse’s military pension when you both retire. There are some laws governing military pensions and they differ from ERISA. For example, you have to be married for at least 10 years to be entitled to a portion of your spouse’s pension. You could, however, request for some other form of compensation if you are not entitled to your spouse’s military pension. 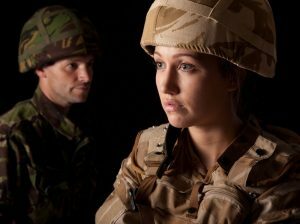 Alimony and child support – Military personnel receive non-taxable benefits, such as housing, food and uniform allowances. These are not listed as a person’s income for income tax purposes. However, these figures should be taken into consideration when calculating alimony and child support.